Over the past few months, Deschutes County has been considering weakening its code to allow property owners in violation of county code to further develop their property. Thanks to your public comments, the Planning Commissioners and Deschutes County Commissioners decided against weakening their code enforcement policies! 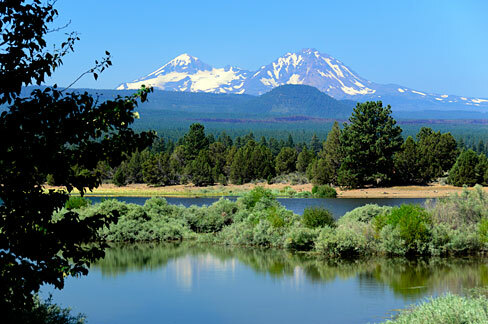 Deschutes County has limited resources to enforce the local laws set in place by the community in order to maintain the high quality of life enjoyed by Central Oregonians. Before 2015, Deschutes County treated landowners who had egregious code violations on their properties the same as law-abiding citizens. This set up a situation in which there was little incentive to follow local laws and in many cases disadvantaged those who were doing the right thing. County Commissioners fixed this problem by adopting a code enforcement provision in 2015 based on examples from other Oregon counties and recommendations from a community advisory group. After a marijuana retail dispensary in Tumalo was denied due to existing code violations, Deschutes County considered revisiting its policies, but thanks to your input, the county will maintain its ability to deny development applications when a code violation exists or require the applicant to cure their code violation before they can develop their land. After the County received dozens of comments from the public, the Board of County Commissioners decided to follow the Planning Commission’s recommendation to not change the current code. The Board instructed staff to monitor how the code works for one year, and report back on whether any problems arise. Because of strong public opposition, land use protections against code violators remain in place in Deschutes County. Chalk this one up as a win!